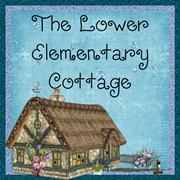 The Lower Elementary Cottage: Learning Through Halloween! My kids are going nuts over all the Halloween activities. It's amazing how all I need to do is add a bat or pumpkin to a very mundane activity and suddenly they think it's the best thing ever! I'm taking full advantage of this. I picked up more little bats at Target tonight for our counting activities. One kid who usually hates working had a tantrum this morning because I wouldn't let him count pumpkins during reading time. How funny is it that telling a kid "you can't learn math now" turns into a 20 minute pouting session?! Looks like I need to add more pumpkins to reading time. 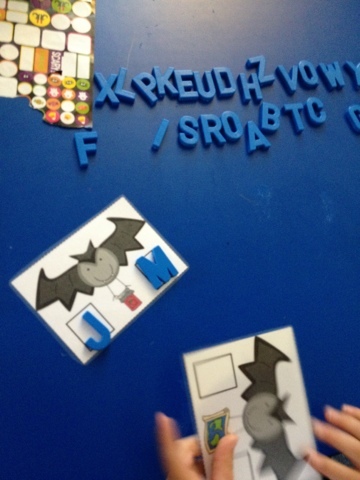 For today, the bats initial and final sounds activity worked pretty well.The initial and final sounds came from here at First Grade Parade. 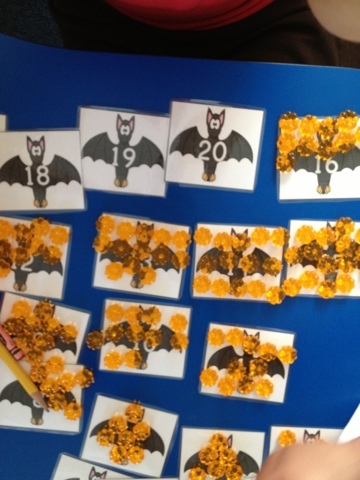 The bat picture/number cards to 20 were a freebie I posted yesterday. The kid who was working on them begged for them ALL DAY after he found the new cards this morning! The pocket books are a continuing work in progress, and the kids are still completely loving them. The best part is how eery quiet they are while working. The kids are so excited about each project that they get a little disappointed when I tell them to put it in their pocket and wait until all the pockets are full to take the book home. They just want to rush home and share the projects with their parents. Too cute! It was a rough afternoon for one little guy, so no pics of the project today. 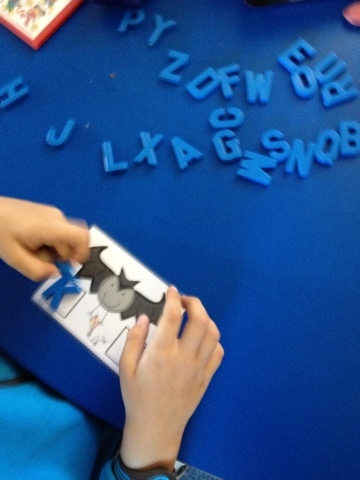 In a nutshell, the kinders drew pictures of their Halloween costumes and practiced writing the name of their costume. The 1st/2nd kids read about owls and started a mini owl report. It still needs some work, so that will take attempt #2 tomorrow. I was busy with the rough day kiddo, and couldn't help the boys, so they did the best they could with zero examples or scaffolding. Tomorrow will be a re-do day for them. I am your newest follower through the Boo'd linky! 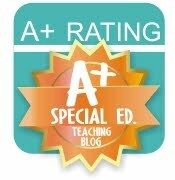 I teach a self-contained sped classroom and always love to find more sped teacher bloggers!